I do not believe for a fact that this could do a 1/4-mile in 12 seconds flat with only 375 bhp. Even with acceleration times as low as 4.0 and 9.1. More like 12.3/4/5 in the 1/4-mile. 13.5 s, haha. Nothing U.S made can beat a Porsche. 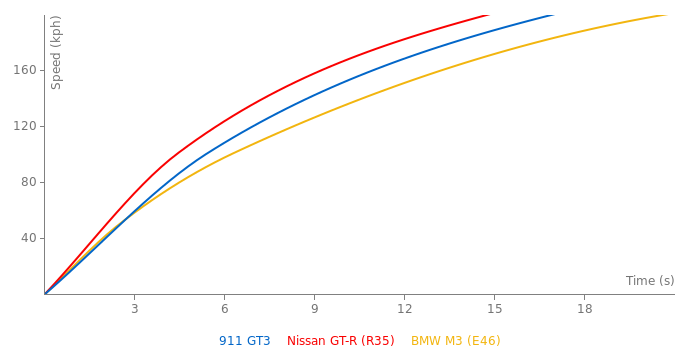 The GTR has a GTR NISMO GT3 model with 600 hp+ & a 911 GT3 doesn't compare to a base GTR. You have to get up to a 911 Turbo S or a 700 hp Lamborghini & not even they can track a GTR. The GT-R R35 for sure is faster. But this is very pure, very feel-full road racer. The drive is so close to the old-school engineering, connection that it make it more fun to drive. Even in term of all waether performance GT-R demolish it. 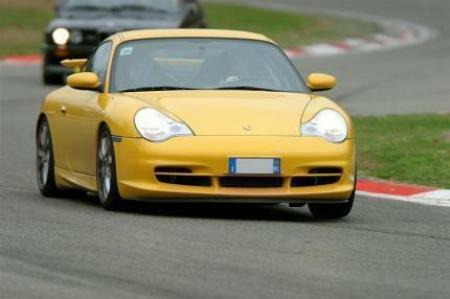 The 996 gt3's top gear lap time was in the wet so i would estimate it to do 1.22.4 in the dry. The Suzuka time its wrong ! True! 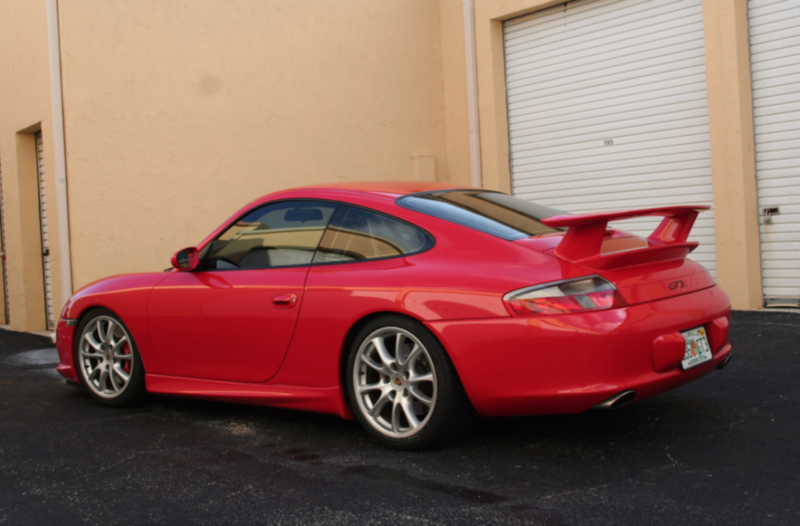 Because BM's Suzuka superbattle happened in year 2000 and the 996 GT3 "late" model came out in 2003.
oops, I meant to put 12.1 sec.